Christophe de Jaeger is born August 10, 1959 in Paris, France. He is the youngest of 4 children, after artist parents. His father was a well know sculptor Albert JAEGER medalist, first Grand Prix de Rome and his mother was first dancer in Berlin and ballet master. Christophe de Jaeger is to meet with Professor André Lwoff (Nobel Prize in Physiology and Medicine in 1965) its commitment to the Faculty of Medicine of Paris. He continued his studies with still afterthought, the breakthrough secrets of aging. He received his Doctorate of Medicine December 2, 1986 (Faculty of Medicine of Paris – UFR Broussais Hôtel Dieu) on “Changes in Testosterone Estradiol Binding Globulin under estrogenic treatments and progestogens (Correlations of Renin Substrate Estradiol and plasma lipoprotein) “already reflecting his interest in hormonal regulation. Christophe de Jaeger then engages very quickly in the one emerging specialty dealing with aging: geriatrics. After working in internal medicine, cardiology, endocrinology-metabolism and preventive medicine, he left Paris Public Assistance and take direction for nearly 15 years of a geriatric active medical service in the Val d’Oise. Meanwhile, he continued his studies at the Faculty of Science where he obtained a Diploma of Biology of Aging (Paris VII – 1992). Many trips will bring him to meet physiologists in the world, where it will build strong friendships, and in particular the United States (Professor Roy Walford – University of California – Los Angeles) and in Canada, but also in the United Kingdom, Germany, Italy, Spain and Russia. Christophe de Jaeger will create in 2000, the European Institute of Aging specializes in the concept of physiological age, a true reflection of human aging and measurement tool essential to evaluate different methods of action against human aging. He then create the European Institute for Longevity, reflection structure and finally, the INSTITUTE OF JAEGER, nonprofit organization composed of many departments, including the Department of Medicine and Physiology Longevity he heads in Paris . It is, among other things, the founder and president of the French Society of Medicine and Physiology of Longevity (SFMPL) and vice president of international societies working in the field and regularly bringing together researchers and physicians in the world whole with an interest in this emerging discipline. Christophe de Jaeger was honored by MEGATREND University of Belgrade, who appointed him as professor of medical physiology (diploma awarded by the Minister of Education and Science of Serbia). He was also appointed director of the first international university chair dedicated to human longevity. 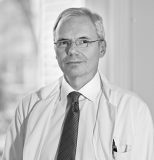 Christophe de Jaeger is the author of numerous scientific and medical articles, and an international speaker. He also wrote several large public works whose last “we are not made to age” Grasset editor aims to show that each player is an actor of his own aging. On the other hand, Dr. Christophe de Jaeger is also working on the very early detection of cognitive alterations which, through measures taken in very early charge to participate in the most efficient fight against neurodegenerative diseases (Alzheimer). But the extent of the smartest fight against brain diseases, it is not to fight against brain aging itself? Physiology of aging: Specialist physiological age, he introduced and developed the concept in France but also in Europe. He tirelessly develops the notion that “man is not made to age and die.” He is the creator and Editor-in-Chief of the journal “Medicine and Longevity” Editions Elsevier, where he has authored numerous scientific and medical articles. Geriatric: Specialist brain and aging, he defends a vision screening very early brain disease that may be by memory disorders.